Do not use sweetened or flavoured cereals. Preheat oven to 250⁰ F. Mix cereal mix together in large roasting pan. Mix dressing ingredients together and pour over cereal mixture. Bake for 2 hours, stirring every 15 minutes. Makes about 9 quarts. (I make full, large packages of cereal mixture, so quadruple the dressing). I've been busy making cards and, now boxes, to give away this Christmas season. I've filled the boxes with homemade "Scramble" (Bits and Bites). 1 12" x 12" square cardstock, scored at 3" on all sides. Cut up to score line on each corner using the scoreline (I only cut on 2 ends). Using bone folder, press out each scored line. This is the box base. 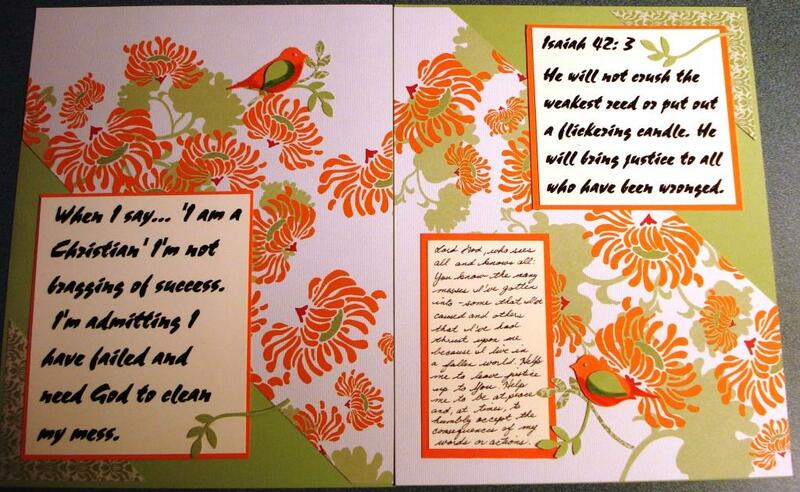 1 10-1/4" x 10-1/4" square Designer Series Paper (double-sided), scored at 2" on all sides. Cut up to score line as before. Using bone folder, press out each scored line. This is the box top. Use Sticky Strip, create box base and top. From remaining Designer paper, cut out a little to embellish a tag card. Create a coordinating tag from leftover cardstock, to match the box base. Stamp as desired. Fill the box with Scrabble in a celephane bag, tied with ribbon. Tie the box shut with fancy ribbon and attach finished tag. I have another 12 boxes cut out, but don't have enough "stuff" to fill them. I'll have to give this more thought! This first card is a mitred border card. 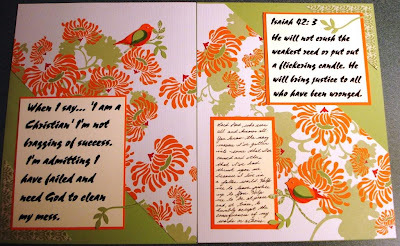 This technique makes a great effect for scrapbook pages as well as cards. The Peace on Earth card uses wheeling with Versamark ink and embossing with a mixture of Gold embossing powder and Dazzling Diamonds. Sparkles! The snowflake card uses the Versamark Resist technique. Wheel onto Glossy White paper with Versamark, then sponge on multiple colours to bring out the pattern that has been wheeled onto the cardstock. The Christmas train card shows the Skewed Wheels technique. As you are wheeling your way across the card, angle the wheel slowly up and down, which creates a skewed line, instead of the straight line that you would normally aim to achieve. This effect does NOT work with all types of wheels. Some word wheels may not work, and more complex designs may be ruined by this effect. The railroad track wheel works terrific for this technique. The cardinal card does not use any wheels, but the envelope does! The envelope is wheeled with the cardinal Build-a-Wheel to create a border than be coloured before mailing. What a great combination! The recipient of this card may just want to save the coordinating envelope! Any envelope or wrapping can be improved with a little creative wheeling. Next class is January 15/11, 2-4 pm for 3D effects card class. Why not join now? Some of the attached cards were created as part of the Brayer class, some for card classes at our Mothers and Daughters Craft Night, and some just because....I need lots of cards! If you would like instructions on any of the cards, let me know. A simple card, with embellishments to reflect the wisemen coming to Bethlehem to visit with the newborn King of Creation and Messiah! Embellishments aren't the only special effect for this Happy Holidays card. The window holds water with sparkling glitter which hides snowmen that are visible with a little gentle persuasion. 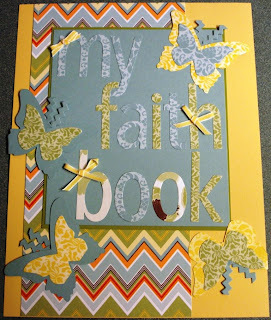 The dry embossing folder allows for some great effects when you brayer the folder before embossing. The glitter brads add a lovely touch to the snowflake centres. The large bird and branch punch mounted on a brayered wax paper resist background provides a nice background effect for this green Peace on Earth card. The photo corners help to bring emphasis to the greeting and bird. The bird was swiped with grey ink in a direct-to-paper technique. This brayered background uses two brayers that had rubber bands wrapped around them. This allows for a cross hatched effect in coordinating colours. This Christmas Greetings card uses punches, glitter and ribbon to highlight the design. The background is dry embossed on glossy white cardstock, then brayered for a subtle background. The same ornament punch is used in the retired Almost Amethyst and Lovely Lilac card to the right. The trees are stamped with Lovely Lilac, then glittered up using 2-way glue and glitter. 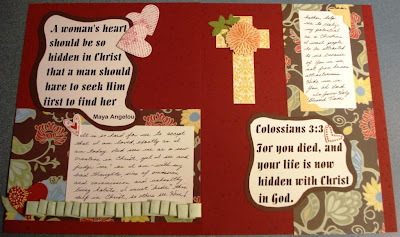 The card to the left, Christ is Born, uses a Shimmer cardstock diecut and flower cut-out to provide the feature. Retired Cranberry Crisp and Handsome Hunter cardstock was used, in my attempt to reduce my retired cardstock pile. 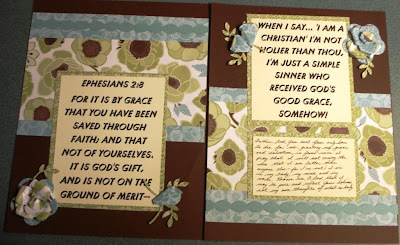 The brayered background on the card to the right uses the emboss resist technique. The cardinal is coloured with water colour crayons, allowed to dry, then a Versamarker is used over the cardinal and branches. Clear embossing powder protects the bird feature from getting erased during brayering. Masking of the top and bottom uses sticky paper. The bouncing brayer technique allows for this little card. The ornament has a touch of ribbon that wraps under the white cardstock to highlight the feature. The ornament has been stamped with Versamark ink, then water-based ink, then embossed with Iridescent Ice. The next two "Merry Christmas" cards are watercoloured. The one to the right uses watercolour crayons and the one below has its stamped image embossed with clear embossing powder, then filled in with water colour crayons using an Aquapen. Two effects using watercolouring, but very different results! RSVP no later than 1 week in advance. Payment due at start of class. Due to low enrollment, classes are cancelled. Sorry for the inconvenience! I've scheduled three new classes that you may be interested in. These events make great outings for family and friends! 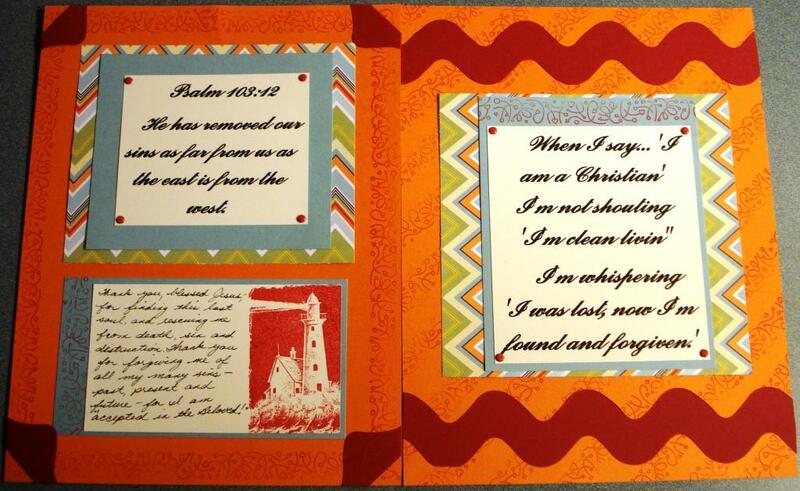 These two 12" x 12" scrapbook pages are using many of the new items found in the Stampin' Up! ™ Holiday Mini Catalogue® for Hallowe'en 2010. 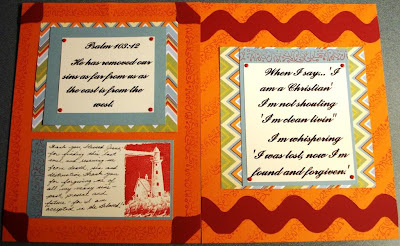 The background cardstock is Pumpkin Pie, with Basic Black (matting and bats), Vellum (spider web), Waffle Paper (as rumpled matting), Neutrals Designer Series Paper Stack (border strip) and Confetti White (border strip) used for accents and matting. The stamp set used is Dark & Dreary® for the spider on the embossed web (stamped with Stazon®), two wheels used are Midnight Musings® and Bring on the Bats® the Bitty Bat Large® punch for flying bats around the page, the Sissix Clearlits Scalloped Square® and the Textured Impressions Spider Web Embossing Folder ®. The Spooky Night® Rub-ons were used on the title page, along with the Trick or Treat® Letterpress Plate. The large 1-3/8" square punch was used to create the window. The "mummy" effect (with the googly eyes) is made of strips of cardstock that are layered and glued like a wrapped mummy onto a scrap piece of cardstock. The whole thing is then cut out by using the square Clearlit® die on the BigShot®. It is "scuffed up" using More Mustard ink on a sponge. I am planning a big sale of all the retired items I have on October 30th, 2-4 p.m. If you are looking for something special to give to someone, I still have unmounted stamps available. You will also have a chance to make something nice, eat some great snacks and see my updated studio. Hope you can make it! If planning to attend, please RSVP no later than October 23rd, so I can prepare for you! Letterpress plates were introduced in September 2010 in the Holiday Mini ® Catalogue with two that are decorative Christmas plates. I haven't been able to get them to "deboss", but they work well for "printing press" style images. The "Joyful Season" ® and "Northern Trim" ® plates are shown below, using Rose Red ® , Certainly Celery ® and Confetti White ® cardstocks and CRAFT (pigment) inks. The sparkling Glassy Glitter ® (Champagne) was added using Sticky Strip ® . The scalloped edge punch embellishes the pointsetta strip. The "Peace on Earth" ® stamp comes from "Peaceful Season" ® , a new hostess set introduced in the Holiday Mini ® . The "Merry Christmas" card uses the "Tags til Christmas" ® set from the Holiday Mini ® catalogue, the Extra-Large Decorative Label ® punch, and the Hostess set, "Occasional Quotes" ® . 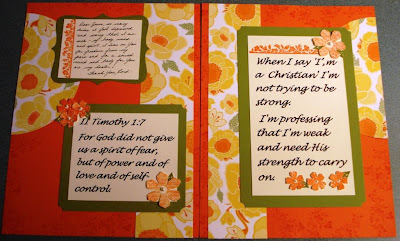 This card uses the "Northern Flurry" ® Embossing folder, which is then rubbed (direct-to-paper technique) with the White Craft ink pad. It is then embossed with Irridescent Ice ® , to give it a frosted window effect. 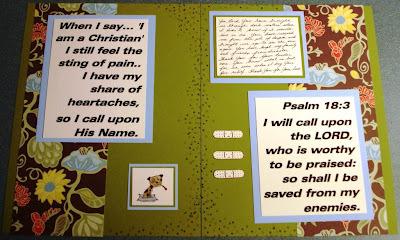 Faithbooking takes scripture, hymns, poems and uses them to inspire us. 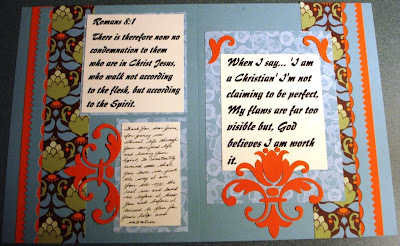 We respond by applying these thoughts to our own lives in journalling what our Lord God is telling us through these messages. 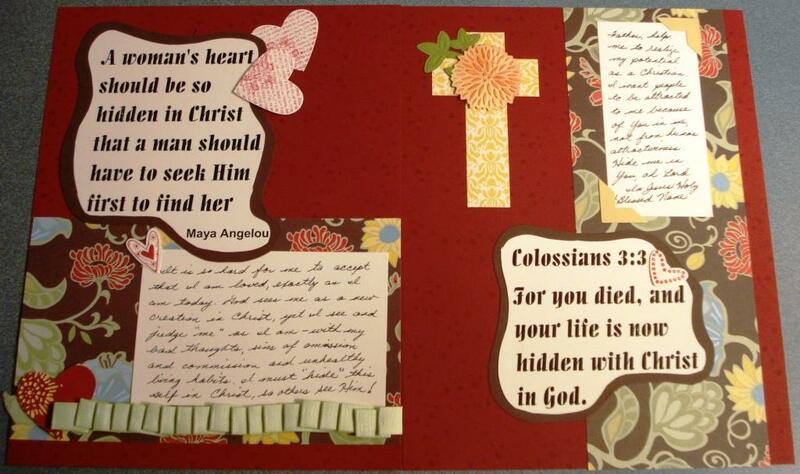 We use scrapbooking and stamping as an art form, giving life and illustration to our prayers, thoughts and words. 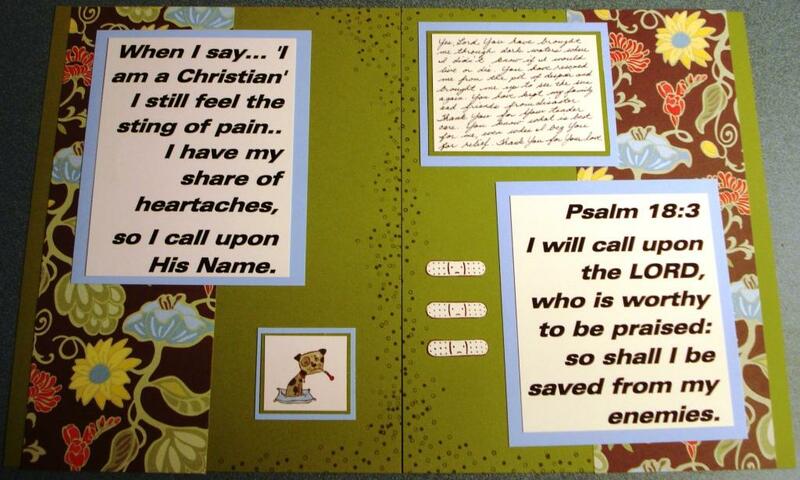 Here's a poem and scripture that create my first Faithbook using Greenhouse Gala &reg Designer Series papers. I can't seem to get the order posted in the blog right, but the content is all there. Here are a few cards created from the new Christmas Cheer&r set. They are easy and fun to make, using added embellishments, like ribbons, punched features, pearls, glitter brads, stamped images and glitter. This is an interesting design which doesn't show up too well in a photo. The Elegant Soirée Designer Series paper is stamped with three birds from the new Level 1 Hostess set, Punch Potpourri, in Night of Navy. 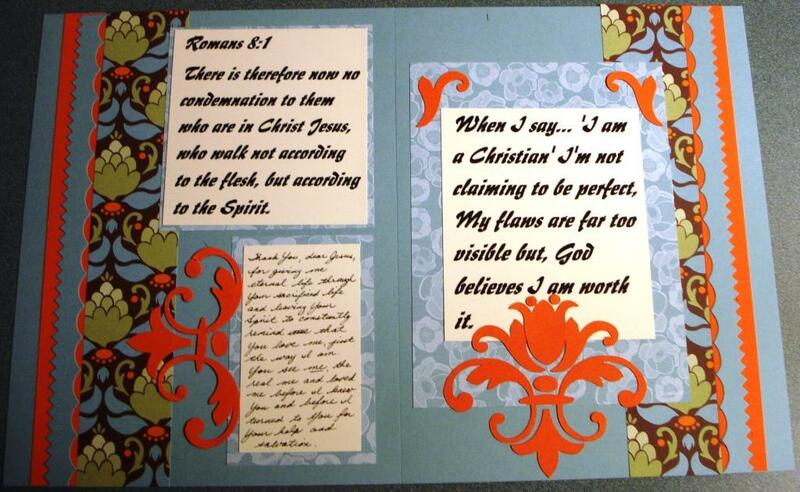 The paper is then punched with the 1-3/8" circle punch, to create holes in the background. The coordinating Confetti Cream cardstock scrap is stamped with the bird, then punched out with the Two-Step Bird Extra-Large punch. The body of the bird is inserted BEHIND the punched circle, aligning the stamped image from the front of the card with the punched image, then glued under the designer paper. The wing is added afterwards, using a Dimensional. Leaves are punched and added to the greeting tag, which was stamped using the Level 3 Occasional Quotes Hostess set and tied on using 1/4" Early Espresso grossgrain ribbon. 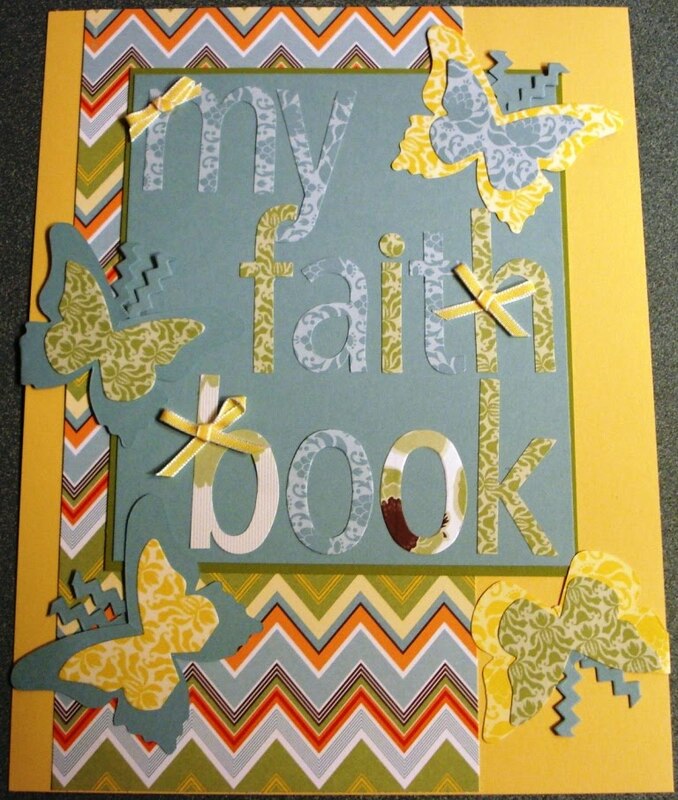 Cardstocks used are Crumb Cake, River Rock and Baja Breeze. I volunteered to demonstrate the world of stamping wheels at a one-day stamping event in September and have been busy making related samples. I've used the new Color Coach for coordinating the colour combinations as well. Hope you like the outcome! This first card is the Sweet Set combination of Baja Breeze, More Mustard and Cherry Cobbler. The sponged Glossy White paper was wheeled with Versamark ink first using the Very Vintage Jumbo Wheel. The Daffodil Delight 1/8" ribbon and Elegant Soirée designer paper help to focus the eye on the brilliant hues of the sponged effect. The greeting is from the Inspired by Nature stamp set. The next card uses the Sweet Set combination for Cherry Cobbler, with corresponding Pumpkin Pie and Night of Navy. The Bear Tracks standard wheel is wheel on gold coloured polymer clay which is then baked before being mounted. The background has been stamped with the new Confetti background stamp in Cherry Cobbler. The greeting is punched out using the Modern Label Extra Large punch, mounted with Navy brads. The Build-a-Wheel is a new feature that was introduced in the Summer Mini Catalogue, which I've grown to LOVE! This effect, which I call "Skewed Wheeling" was achieved using the stars and congratulations wheels, with a spacer filling out the last space for a 3rd wheel, Versamark ink loaded in the wheel cartridge, and gold and silver embossing. The greeting was stamped from the Occasional Quotes hostess set and punched out with the scallop circle punch. The cardstock is Nearly Navy, Baja Breeze and Whisper White. Wheels are very versatile! To the right, the envelope and stationery pages have been wheeled using the Whimsey Jumbo wheel, then coloured with coordinating markers to coordinate with the Creative Combination of River Rock, Not Quite Navy and Tangerine Tango. Colours don't look the same as in person! 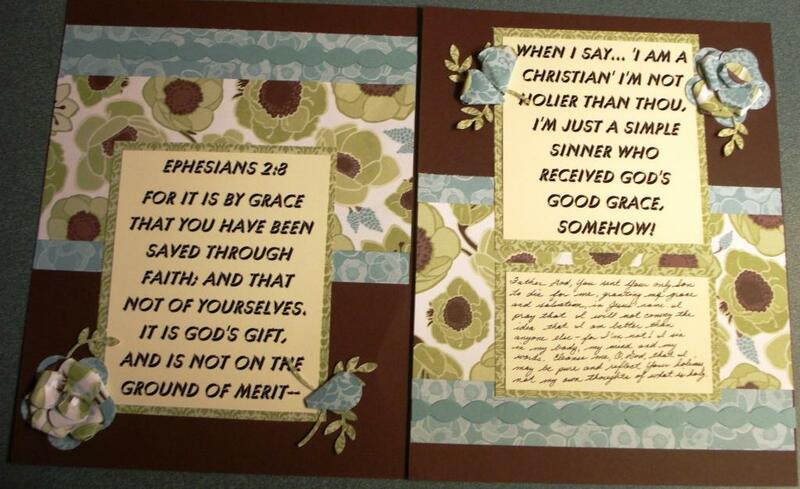 Wrapping paper is easy to create in order to coordinate your card, the greeting, the scrapbook page and the greeting. The paper was wheeled with the Baby Tees Jumbo wheel in Night of Navy, the the band was wheeled using the Build-a-Wheel "Congratulations" wheel. A little white grossgrain ribbon finishes the effect. The same wheel is used on the 6"x6" scrapbook page with the baby's first photo, in Bashful Blue Sweet Set combo, with Certainly Celery and Chocolate Chip. The wheel is also used on a scrap of Whisper White, which is coloured with matching markers, then cut out and mounted using dimensionals, directly over the same wheeled image. One of the great border effects you can achieve with wheels is a mitred corner. It looks like you never lifted the wheel! This happy card uses the Getting Started Combination, with So Saffron replacing Daffodil Delight, Night of Navy and Old Olive. The stamp set is Just Buzzin' By, with the Bees and Blossoms Builder Wheel. Place sticky notes in the upper and lower corners of the cardstock you wish to wheel at 45 degree angles. These act as masks for the wheel. Using the Wheel Guide to guide the wheel with the desired space from the edge of the cardstock, wheel across the top and bottom of the card. Now switch the sticky notes to lay at 45 degrees, lining up the wheeled images you’ve already completed. Reset the Wheel Guide to the new location and wheel the remaining sides. Be careful to keep the wheeled images all going the same direction e.g. if you are wheeling snowmen, make sure their heads are either all to the outside of the card or all to the inside! Remove the sticky notes. The card to the right in Bashful Blue, Chocolate Chip and Whisper White uses the Wheeled Shadow effect. Being aware of the exact place you are starting to wheel (use rubber seam), roll your primary colour. Clean wheel thoroughly. Use coordinating colour and the wheel set to just a fraction behind where you started before, wheel the second colour over the first for a shadow effect. Don't be frustrated if you don't get it right the first time. This card took me 5 attempts before I got it right! 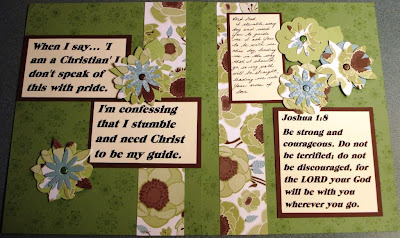 Curvy Verses greeting is stamped on the bottom right-hand corner for a lovely Wedding card effect. Christmas isn't something we think about often in August, but I want to get a head start! This box is die-cut using the Big Shot, then wheeled with the Whimsey Jumbo wheel using Whisper White craft ink. The greeting is stamped using the Perfect Punches set, then punched out using the scallop circle punch. Taffeta white ribbon and silver cording completes the look. The final card uses the Sweet Set combination of Melon Mambo, River Rock (instead of Old Olive, to tone it down a little) and Elegant Eggplant. The Whimsey Jumbo wheel is stamped with Versamark Ink, then embossed with clear embossing powder. The Delightful Decorations and Tree Trimmings stamp sets are used, along with the coordinating punch and they are mounted with Dimensionals and embellished with gold cording for a great effect. Thinking Christmas yet?